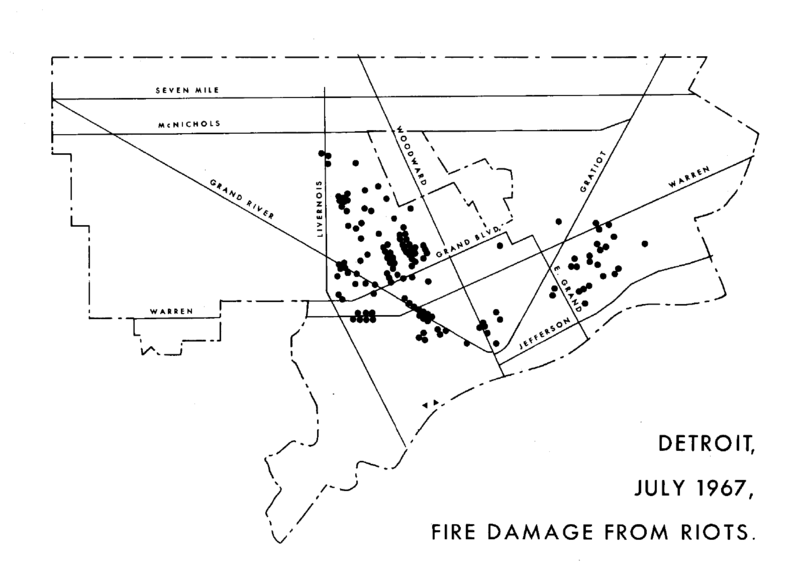 From the Detroit Geographic Expedition Institute’s Field Notes III, William Bunge and his colleagues included maps and anecdotal accounts of how the 12th Street Riots began. After police raided a “blind pig” unlicensed liquor establishment on the Near Westside and roughed up the people inside, the community became agitated because the unlicensed liquor establishment was actually a welcome home party for two soldiers who returned from serving in Vietnam. Police decided to detain all 82 people inside, but an angry crowd grew as police waited for transportation. Bottles and bricks were thrown at police cars until they all left and widespread looting followed. Interestingly, it has been noted that the time of the riots in July 1967 was a heat wave with 90-degree-plus days. There is a growing body of evidence that shows high temperatures exacerbate tempers and violent actions. 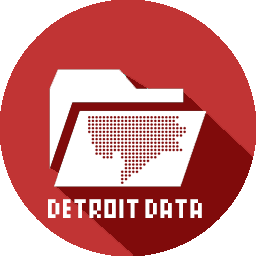 Raids were common along 12th Street, but it seems obvious that Detroiters were tired of the abusive treatment from police, the unfair wages from business owners, and (as a result) the lack of adequate essentials like food. Note: 12th Street is now known as Rosa Parks Blvd.